All homes currently listed for sale in the zip code 90038 as of 04/18/2019 are shown below. You can change the search criteria at any time by pressing the 'Change Search' button below. "Location! Location! Location! This 20,000 sqft Developers dream is walking distance to large multination companies such as; Netflix, Capitol Records, LA Film School, Sunset Bronson Studios, Emerson College and coming soon The Hollywood Central Park. The 3 adjacent lots are within the La Mirada cul de sac, which may become a gateway into The Hollywood Central Park and rezoned to Hotel & other R4 uses (do your own Due Diligence), currently it is zoned R3 with a Ready To Issue Permit for 34 units (majority of planned units are 2+2) with the TOC Tier 3 benefits build upto 50 units, architectural plans available. The apartment rental market has skyrocketed in recent years, currently 2+2 are renting between $4K to $6K yielding great cash flow and high ROI & with LA hosting the 2026 Olympics there is no end in site. This prop is walking distance to LA's best schools, restaurants, entertainment centers & billion dollar projects all around during the revitalization of Hollywood." "Stunning newer custom-built masterpiece in a highly desirable pocket of Hancock Park. A 20-ft waterfall welcomes you to this glorious ultra-modern home offering 5 bedrooms and 5.5 bathrooms with a two car attached garage. A gourmet kitchen, with Thermador appliances, that chefs dream of. Top of the line smart home system with security cameras, open floor plan, amazing staircase, and European oak wood floors, bring out the elegant nature of this home. Expansive glass walls open up nicely to the backyard lounge and infinity pool and spa, as well as a side patio with fire-pit, creating multiple indoor and outdoor living and entertaining spaces. Sky high windows brighten up the house with an abundance of natural light and not to mention the private balconies throughout the home. Conveniently located near Melrose Avenue, Hollywood, the Grove and Larchmont; come see this beauty and make it your new place to call home!" "Beautiful brand-new construction modern farmhouse on quiet street makes for the perfect turnkey home. Grand living & dining rooms, with soaring ceilings, flow to open kitchen and sitting area. Chef's kitchen features stone countertops, center island with prep sink and breakfast bar, farm sink, walk-in pantry, and Sub-Zero/Wolf, stainless-steel appliances. Sliding glass doors lead to backyard paradise offering pool, waterfall, zero-edge spa and built-in BBQ. Offering 5 large bedrooms and 6 bathrooms, the upscale master bedroom offers vaulted ceilings, private balcony, fireplace, two large walk-in closets, and palatial master bathroom with dual vanity, soaking tub, and massive standing glass rain shower. Guest bedrooms all include ensuite bathrooms and generously sized closets. Additional highlights include movie theater offering surround-sound, integrated Control4 smart home system and 2-car finished garage. Located close to shops, restaurants and more!" 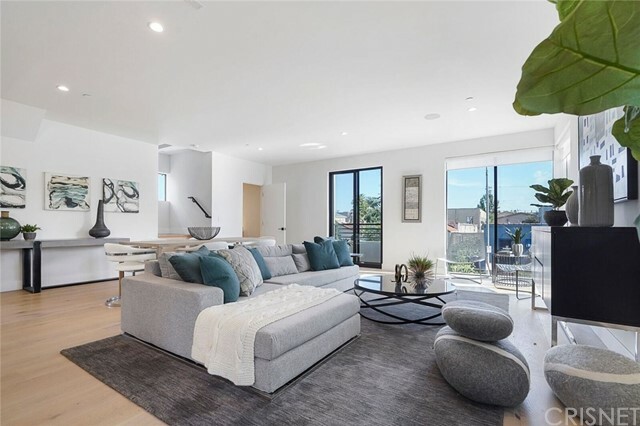 "Turnkey, newer construction centrally located in the world renowned Melrose District!Stepping inside you are greeted with soaring ceilings and the ideal flow for living and entertainment. Top-of-the-line finishes in the kitchen adjacent to the fireplace of the living room, all of which seamlessly enter into the ultra-private backyard & pool area. Upstairs, where 4 of the 5 ensuite bedrooms are, complete with 3 balconies, hardwood floors and a master suite that includes an expansive walk-in closet, massive private bath, fireplace and private balcony overlooking the backyard. Exquisite design, unparalleled urban convenience, and unrivaled privacy." "HUGE PRICE DOWNStunning custom-built masterpiece is almost 5,000 square feet of pure craftsmanship and top of the line finishes. Walk into an open floor plan with a grand curved glass staircase, wine cellar, water features, entertainers kitchen and yard... much more. Amazing Hollywood sign views. This beautiful modern home offering 5 bedrooms and 5.5 bathrooms with a two car attached garage. creating multiple indoor and outdoor living and entertaining spaces. Sky high windows brighten up the house with an abundance of natural light." "Gorgeous modern masterpiece is located in a highly desirable pocket of West Hollywood, featuring 5 bedrooms and 5.5 bathrooms. Each bedroom is En Suite and has been built to use the utmost square footage. As you enter, you are greeted with beautiful landscaping that will ease your way into an inviting open floor plan. Pocket doors open into a relaxing backyard with an infinity pool and spa with a waterfall that will bring you serenity. As you ascend up the floating stairway, it will bring you to an additional living space that allows for relaxation and rejuvenation. 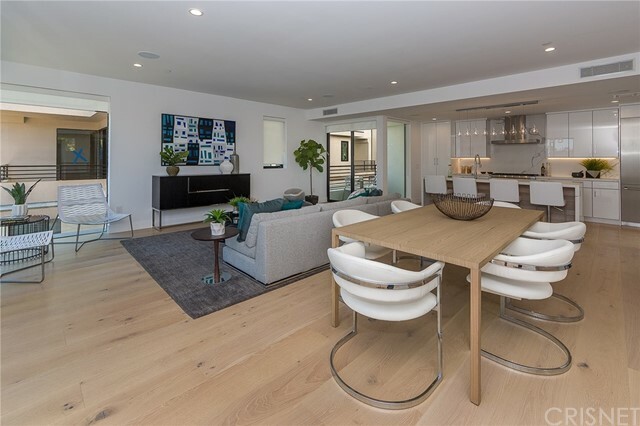 An additional floating stairway leads you up, which brings in natural light from the glass skylight, and will guide you to an entertainers and impeccable roof deck with stunning views of Hollywood Hills. Focus on attention and detailing has been perfected to touch all around like you have never seen before." "Newly completed Spanish Contemporary home exquisitely designed with luxury fixtures & finishes. This rare offering features an open floor plan and beautifully designed custom cook's kitchen with high-end appliances. The owner spared no expense building a quality home with extraordinary details: from handmade, imported Talavera and Saltillo tiles; to solid, -inch oak floors and a large master bedroom suite with his & her closets and a mother-of-pearl shower wall. A private balcony overlooks a luxuriously landscaped back yard with an oversized pool, outdoor shower, and a cabana for indoor/outdoor entertaining and the ultimate California living experience.The home is located within walking distance to some of LA's best restaurants on Melrose and Highland: a 3 minutes' walk to Mozza & Pizzeria Mozza; and less than a minute to Eric Bost's eagerly anticipated Auburn." "Welcome home to this beautifully re-imagined 1922 English cottage. 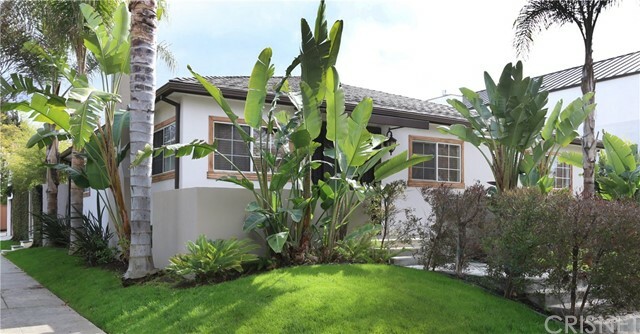 The home has been lovingly remodeled and enlarged with a contemporary open layout. The grand space includes a formal living area with restored Bachelder tile fireplace and seamlessly flows to an oversized dining area and a beautifully appointed kitchen. The expansive kitchen and den open to an enchanting courtyard and a grand entertainment room. The main level also features three bedrooms, including a luxurious master suite with French doors opening to the garden and a phenomenal master bath with a cozy fireplace, massive walk-in shower, and a chic freestanding modern tub. There is also a very large upstairs room that can function as an office, creative space or playroom. With gorgeous finishes and an eclectic blend of original character and modern convenience, this fantastic home is also ideally located with immediate access to some of the best restaurants and shopping in town." "Stunning Spanish newly remodeled with chic designer finishes. A welcoming open floor plan incorporates modern flair into this bright and airy dream home. Space abounds in the home's 3 bedrooms and 4 bathrooms, which all maximize their functionality. Gorgeous gourmet kitchen is ready to welcome your inner top chef home. The magic continues outdoors, into the idyllic backyard, complete with a sparkling new pool. 2 car garage has the potential to be converted to an ADU, guest house, mother in law's quarters, rental unit bringing total sq. footage to approx. 2700 sq. ft. Conveniently located, just a stone's throw away from Mozza, Petit Trois, and all the restaurants and shops one can desire on La Brea. Welcome home to 746 Mansfield." "Wait until you see this show stopper! Walk in to the open floor plan perfect for entertaining featuring gleaming hardwood floors, top of the line kitchen with center island, granite counters, stainless steel appliances, spacious living room with fireplace and expansive dining areas make this the perfect home for family gatherings or hosting a party. The 4 bedrooms are all spacious including the master with a stunning master bath en-suite with heated floors, spa tub, separate stall shower with dual heads, double vanity sinks, and toilet with bidet. All bathrooms are stunning with custom details and fixtures. ADDED BONUS: Plans for an ADU have been drawn! The backyard features a grass yard, large cement area, outdoor fireplace and privacy. The oversized two car garage with enclosed access is perfect for security. The home features a video surveillance security system, LED lighting throughout, water filtration system, HVAC with Hepa filters, tankless water heater and so much more that must be seen. Excellent corner location walking distance to shopping, restaurants and studios." "Grand Opening !11 NEW Modern Homes,NO COMMON WALLS Small Lot Development- starting at $1,399,000. 2 staged Model Homes, 1) 4br & 1) 3Br. New development consisting of 3 and 4 bedrooms ranging from approx. 2,000 - 2,700 sq. ft. with approx. up to 500 sq. ft. roof top patios with outdoor kitchens and views of Hollywood Sign and Hollywood Hills & City Lights. Four unique floor plans, this residential development is created to meet the highest expectations: Control 4 smart-home technology, open floor plans with high ceilings, chef s kitchens for sophisticated entertaining. Each residence is spacious, and supplemented with an expansive private rooftop patio that has spectacular views, full outdoor kitchen, high-tech wiring, and ample room for seating, dining, and relaxation under the stars. Floor-to-ceiling windows, balconies, and rooftop decks offer panoramic vistas of Los Angeles, as well as explosive views of landmarks such as the iconic Hollywood Sign Downtown LA & West Hollywood . Each home includes a direct access, two-car, side-by-side parking garage. Quality features and finishes have been carefully selected including solid mahogany 8-foot entry doors, Fleetwood Windows, sliding doors, LED lighting, wood floors and staircases, and kitchens equipped with Thermador appliances and quartz waterfalls counters. * PICTURES MAY NOT BE OF ACTUAL UNIT*"
"Grand Opening !11 NEW Modern Homes, Small Lot Development- NO COMMON WALLS starting at $1,349,000. 2 staged Model Homes, 1) 4br & 1) 3Br. New development consisting of 3 and 4 bedrooms ranging from approx. 2,000 - 2,700 sq. ft. with approx. up to 500 sq. ft. roof top patios with outdoor kitchens and views of Hollywood Sign and Hollywood Hills & City Lights. Four unique floor plans, this residential development is created to meet the highest expectations: Control 4 smart-home technology, open floor plans with high ceilings, chef s kitchens for sophisticated entertaining. Each residence is spacious, and supplemented with an expansive private rooftop patio that has spectacular views, full outdoor kitchen, high-tech wiring, and ample room for seating, dining, and relaxation under the stars. Floor-to-ceiling windows, balconies, and rooftop decks offer panoramic vistas of Los Angeles, as well as explosive views of landmarks such as the iconic Hollywood Sign Downtown LA & West Hollywood . Each home includes a direct access, two-car, side-by-side parking garage. Quality features and finishes have been carefully selected including solid mahogany 8-foot entry doors, Fleetwood Windows, sliding doors, LED lighting, wood floors and staircases, and kitchens equipped with Thermador appliances and quartz waterfalls counters. * PICTURES MAY NOT BE OF ACTUAL UNIT*"
"Quintessential Spanish bungalow that is gated & tucked behind hedges creating your own private oasis. Beautifully landscaped with mature olive trees, rose bushes & outdoor entertaining areas. Inside the home you are greeted with high coved ceilings, large windows, hardwood floors & recessed lighting throughout. Original touches like built-ins, picture railing & arches keep the original character of the home alive. The galley kitchen is complete with dark grey quartz counters, subway tile backsplash, White Carrera marble breakfast bar & stainless steel appliances. Dining area with doors that lead outside allowing for true indoor/outdoor Cali living. Bright master suite & updated bathroom with herringbone marble floors & subway tile. A bonus room is located off the master that is perfect for a home office or den. The guest room is complete with its own private bathroom. Parking for two cars behind an electric gate for added security & functionality. *Priced BELOW two recent appraisals." "Reduced! Rare find in the heart of Hollywood's Media District! 4 bed 2 bath home with charm galore. Inviting family room with gleaming hardwood floors and romantic fireplace boasts plenty of room to entertain. Large eat in kitchen, separate laundry room, and extra long five car driveway. Recently updated with copper plumbing, new electrical/panel, double pane windows, and bolted down foundation. Back yard with six mature fruit trees, low maintenance artificial grass, and porch offers the perfect place to relax with a glass of wine or have friends over for a BBQ. Separate 783 sqft garage conversion includes a complete kitchen with breakfast nook and full bathroom, ideal for your home office and visiting in-laws or friends. All this and an additional 100sqft separate space for an artist studio, storage, workshop, you chose! In a vibrant location near restaurants, studios, theaters, and parks. This is a truly one of a kind property not to be missed!" "Grand Opening !11 NEW Modern Homes, NO COMMON WALLS Small Lot Development- starting at $1,349,000. 2 staged Model Homes, 1) 4br & 1) 3Br. New development consisting of 3 and 4 bedrooms ranging from approx. 2,000 - 2,700 sq. ft. with approx. up to 500 sq. ft. roof top patios with outdoor kitchens and views of Hollywood Sign and Hollywood Hills & City Lights. 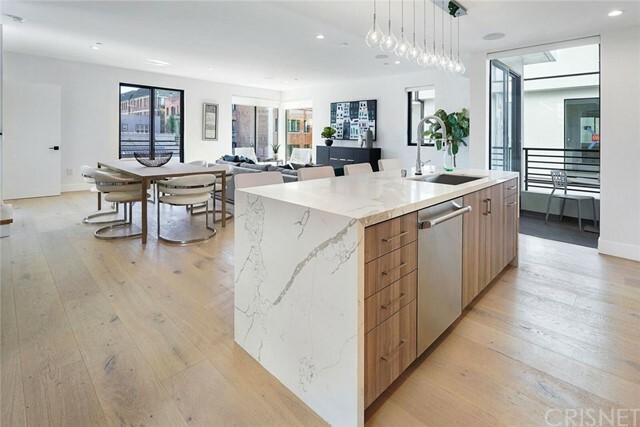 Four unique floor plans, this residential development is created to meet the highest expectations: Control 4 smart-home technology, open floor plans with high ceilings, chef s kitchens for sophisticated entertaining. Each residence is spacious, and supplemented with an expansive private rooftop patio that has spectacular views, full outdoor kitchen, high-tech wiring, and ample room for seating, dining, and relaxation under the stars. Floor-to-ceiling windows, balconies, and rooftop decks offer panoramic vistas of Los Angeles, as well as explosive views of landmarks such as the iconic Hollywood Sign Downtown LA & West Hollywood . Each home includes a direct access, two-car, side-by-side parking garage. Quality features and finishes have been carefully selected including solid mahogany 8-foot entry doors, Fleetwood Windows, sliding doors, LED lighting, wood floors and staircases, and kitchens equipped with Thermador appliances and quartz waterfalls counters. * PICTURES MAY NOT BE OF ACTUAL UNIT*"
"This luxury home in the gated Hollywood Colony is a rare townhouse completely detached with windows on all four sides. Built in 2013, this 3BR/4BA house has a spacious tri-level floorplan featuring soaring 10-foot ceilings, hardwood floors, recessed lighting and solar panels. The current owners completely renovated their large roof deck, which is great for entertaining with a built-in kitchen featuring a grille, refrigerator, sink and dishwasher. The first floor has direct entry from the private two-car garage into a welcoming foyer and a guest bedroom suite with a full bathroom. The second floor has a large living room that opens into the kitchen and dining area. A powder room is conveniently located by the stairs to the third floor, where two more bedroom suites and the laundry are found. The master suite has a large walk-in closet and huge bathroom with a shower featuring dual fixtures. This modern home is close to shops, restaurants & nightlife on Santa Monica Blvd & Highland Ave."
"NEW CONSTRUCTION, Corner Unit Loft Style living at its best with double height great room ceilings and large expanses of glass that allows an abundance of natural light to illuminate this generously appointed home . The open floor plan with mezzanine level exemplifies the classic loft lifestyle creating a space that can flex with a changing lifestyle - it can be a great Home Office, Music or Art Studio and Guest Sleeping area. The homes Modern Industrial Loft Design was developed to accentuate the context found within the New Hollywood - The development is part of Many Billions of investment planned in the immediate area that will add a mix of uses to the already exciting neighborhood. These homes are meant to be unique with great attention to detail and high quality finishes including corrugated metal skin designed to create movement in the facade and throughout the building. An Outdoor Room at the roof level provides unobstructed views of the city skyline." "The Hollywood Gatsby Community is one of a kind! A Certified eco-green community with cutting edge technology and a design that embodies comfortable urban living.This tri level floor plan includes 2 bedrooms plus office/den and three bathrooms. Home features hardwood floors, custom window shades and built-ins.The 9 ft ceilings and picture windows lend a spacious feel seldom found in tri level floor plans. Gourmet kitchen with glass tile back splash, Quartzite counter tops, stainless steel appliances surrounding a large kitchen island. Tank-less water heater, surround sound and integrated camera surveillance security system are also included.The roof top terrace has amazing panoramic views of Hollywood and Downtown. The 2-car attached garage offers direct entry. Walk to many of the local restaurants, shopping centers and entertainment such as ArcLight, Dolby Theatre, Hollywood's Walk of Fame, Dream Hotel, and TAO and Metro-red line are just a few blocks away!" "CHARMING HOLLYWOOD ROW HOUSE Own a piece of Classic Hollywood in this 1938, 2 Bedroom 1 Bath Row House located in the heart of the Media Arts District in Hollywood. This cottage offers a remodeled kitchen with honed granite counters, custom cabinets, and stainless steel appliances. Original detailing includes built in cabinets, wooden floors and molding. Plenty of closet and storage space.The attached garage canfunction as a bonus room for home office, creative projects, or a man/woman cave. Sliding glass doors open directly to the Urban Patio, which has plenty of room for entertaining, dining, plants, and Barbeque's. Enter the house directly from the garage or patio. Zoned R-3, so bring your vision for expansion and renovations! Close to the Hollywood Recreation Center, Gold's Gym, Salt's Cure, Arclight, Providence & more. You are a beat away from everything that is Hollywood! This is a great starter home. Why pay rent or buy a condo when you can own this gem!" 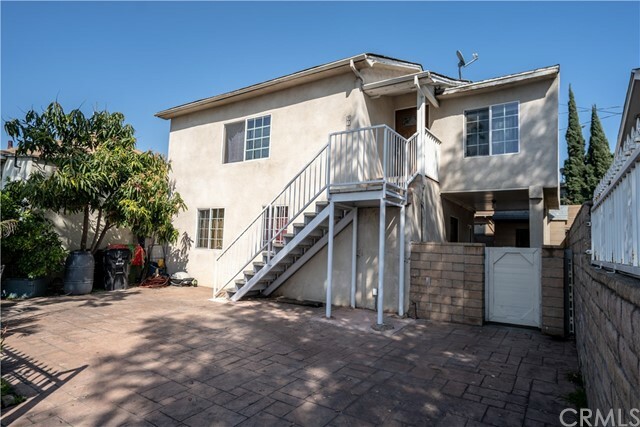 "Spacious 3 bedrooms 2 bathrooms Hollywood home. Home is centrally located to various, shopping, transportation and entertainment. Home was remodeled approximately 5 years ago and it is move in ready for a big family." "Gorgeous, naturally-lit residence, accompanied with an open floor plan and newer-build appliances. This residence features hardwood flooring, elevated ceilings, a gas fireplace and washer/dryer. The kitchen is equipped with stainless steel appliances include fridge, granite countertops, and custom cabinetry. Extra large bedrooms are spacious, accommodating most all bedroom furniture, with recessed lighting throughout, and high capacity central A/C and heat. Near Larchmont Village and Melrose shops/restaurants." "This large & pristine 2BR+2BA corner unit is located in the prime Media District of Hollywood, just minutes away from the coveted Larchmont Village, Archlight Theatre, Movie Studios, Netflix, Griffith Park Observatory, & the most desired restaurants, shops, & hiking trails in the city. Well appointed kitchen w/updated stainless steal appliances & granite counter tops, opening seamlessly to the dining area & living room. Spacious en-suite master bedroom w/ built-in closet & ample storage. Sliding doors open to a tranquil patio. Master bathroom w/ dual sinks & spa-like soaking tub w/shower. Subterranean & gated parking w/ two spaces & guest parking. The grounds are well-maintained w/ a lush courtyard w/ fountain creating a very peaceful living experience. Great buy."